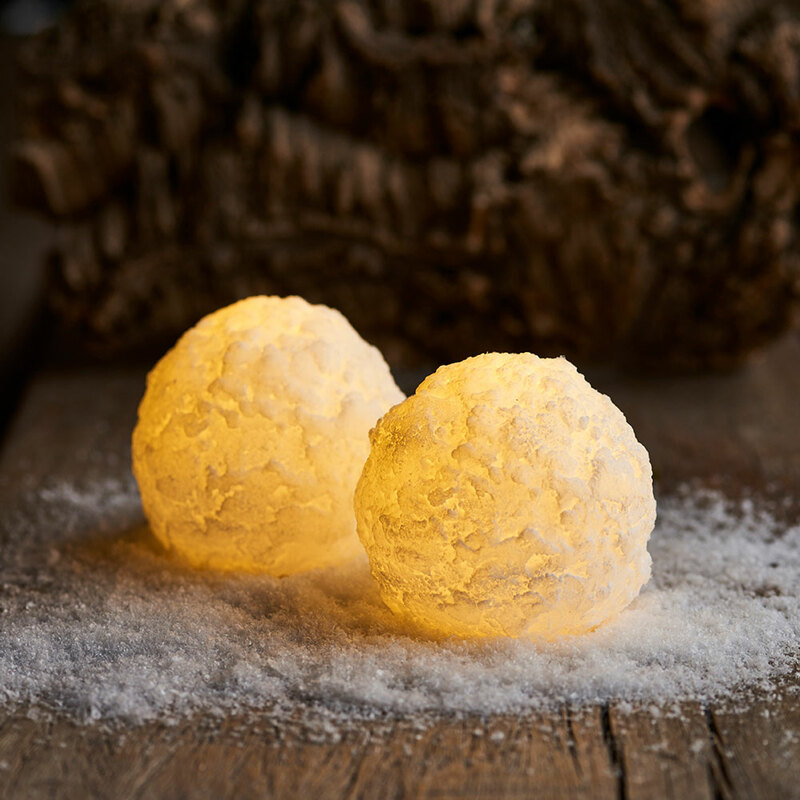 Lovely snow balls with a soft warm light, made from real wax with a textured surface. Decorate with the different sizes of the Snow Cones from Sirius. The bulbs give a warm natural light. You can clearly see the light that crackles in the snow balls. Diametre: 8 cm, H: 8 cm. The Sirius LED light will turn off automaticly after 6 hours, (if you don´t turn them off your self). After 18 hours, the candles will turn on again, and so it continues, if you do not use “off” button. The timer function is on the product itself. The Sirius remote control can not be used in combination with this product! 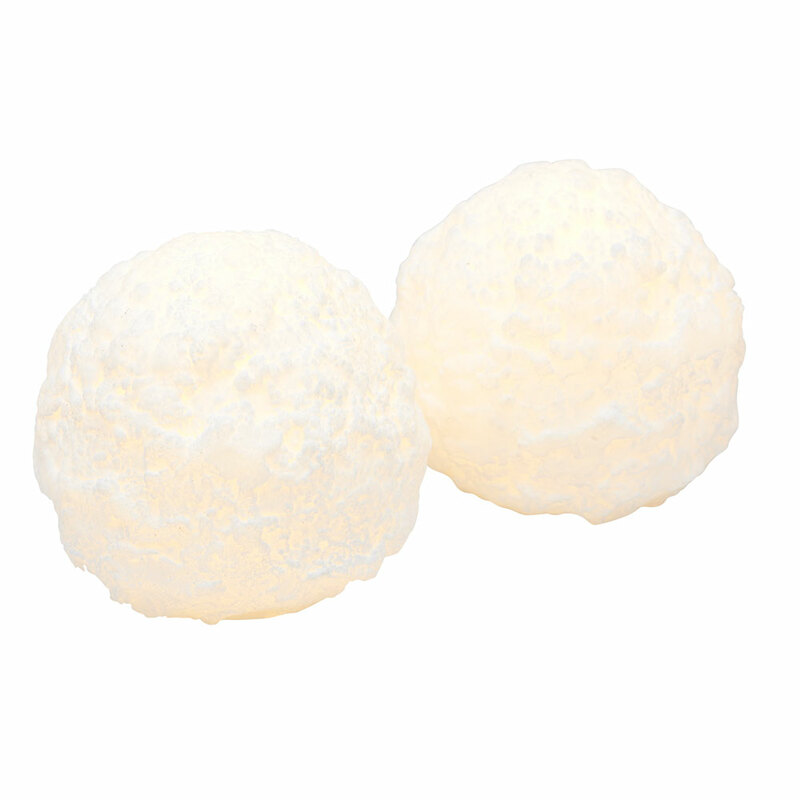 1 pcs CR2032 battery included for each snowball. There’s no damage on the products itself. They’ve been used as showroom model in the pop-up store and the packaging is lightly damaged.